Our 212-cc 9.9-hp High Thrust outboard is the perfect kicker for bass, flats and multi-species boats. 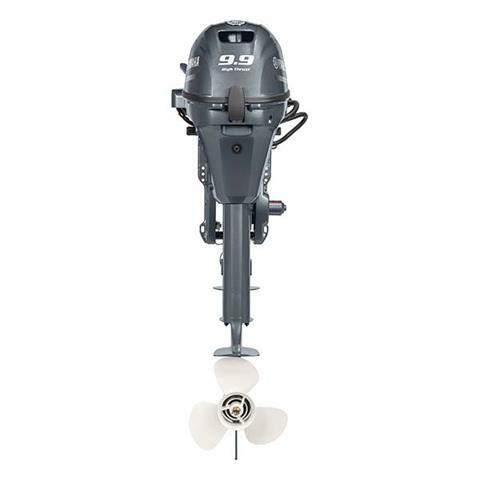 Available in both 20-inch and 25-inch shaft lengths, it can even power boats with 25-inch transoms that venture into deeper, rougher waters. At just 102 pounds, it provides a surprising combination of high-thrust power and portability. GAUGE COMPATIBILITY: Optional Command Link® gauges provide real-time outboard performance, boat systems and environmental data at your fingertips. Streamlines displays available in square or round style for single- or multi-engine applications. ERGONOMIC CONTROL: Yamaha’s award-winning, Multi-Function Tiller Handle (optional on T60/T50) features an ergonomic design for easy shifting , better grip and less rotation from idle to wide-open throttle. This reduces operator fatigue for a full day of enjoyable boating. Truly multi-function, it control features include throttle, throttle friction control, shift lever, key switch, stop switch and a Power Trim & Tilt switch. 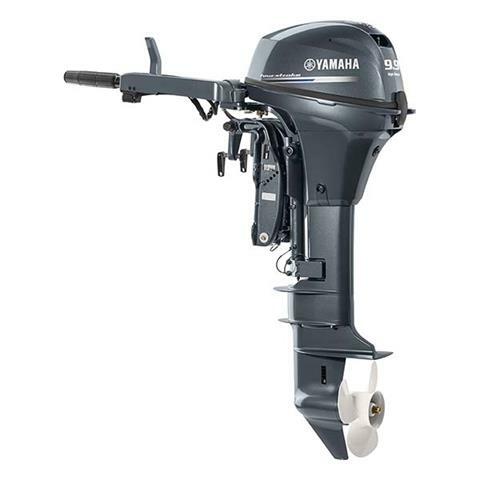 MORE THRUST: The Higher Gear Ratio on Yamaha’s High Thrust outboards make these powerhouses ideal for heavy pontoons and other applications that require an extra measure of muscle. MAX MUSCLE: Increase thrust up to 60 percent in forward and 70 percent in reverse with a large-diameter, low-pitch Dual Thrust™ propeller. They're optional on our High Thrust T50 and T60, and standard on our T25 and T9.9, and are perfect for sailboats and pontoons. They can also be used on Yamaha Midrange outboards with 4.25 inch K gearcases. SINGLE OVERHEAD CAMSHAFT: A Single Overhead Camshaft (SOHC) design creates a compact, lightweight, space-saving design. FUEL ECONOMY: Precision Multi-Point Electronic Fuel Injection on the T60 and T50 delivers the exact amount of fuel needed for optimum performance and efficiency. Yamaha’s EFI optimizes fuel atomization, further enhancing fuel economy. CORROSION PROTECTION: Combined with our proprietary alloy (YDC-30), our exclusive Phaze Five™ anti-corrosive paint system provides a tough, five-layer barrier against corrosion. 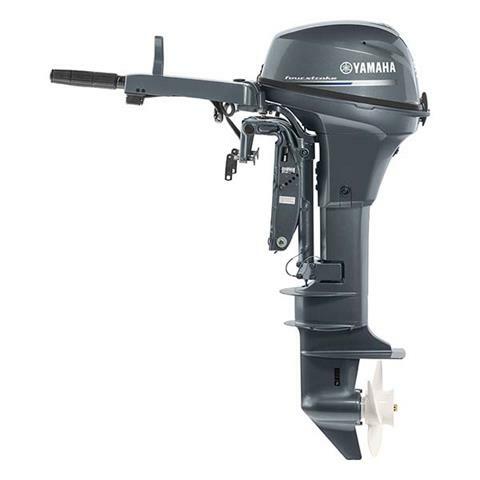 This protection is standard on all Yamaha High Thrust four-stroke engines. SOLID AND DEPENDABLE: Incoming air is routed through an Air Intake Labyrinth System that traps and drains water before it enters the engine's intake for maximum reliability. WET SUMP: The T50, T60, T25 and T9.9 all feature a pressurized oil delivery system that incorporates a compact and durable oil pump to keep all of the moving parts of their SOHC systems lubricated and running smoothly for maximum reliability. CONSISTENT PERFORMANCE: Thermostatic Cooling Control helps provide proper engine temperature at all times for consistent performance and long, trouble-free engine life.